"Superb location, close to school, shopping, and LRT station, welcome to this single family home in Marlborough. It features 3 car garages, updated windows, main floor with 3 good bedrooms up, total 2.5 bathrooms, large living room, spacious kitchen and eating area with tiles, covered sun room, hardwood in the living room and bedrooms, finished basement with 2 extra bedrooms, full bath, den, and recreation room. 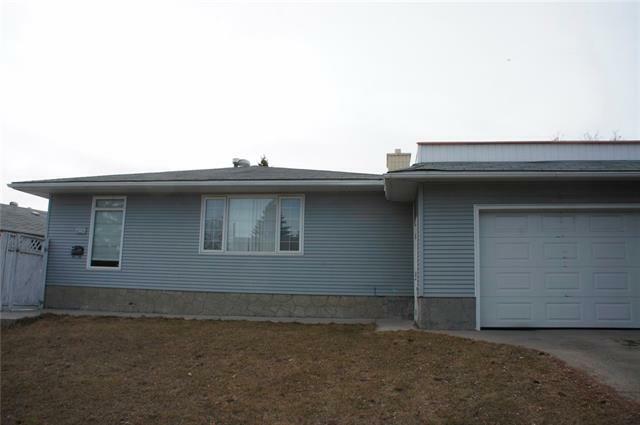 It has double detached garage and single attached garage. It closes to public transits, playground, and easy access to major roads. ** 4107 Marbank Drive NE **"